This is the last of three interviews with Franchisees about successful summer marketing tactics. Chosen based on strong summer sales numbers and feedback from their FBCs, these Franchisees offer tips on what they do and recommendations for other Franchisees. 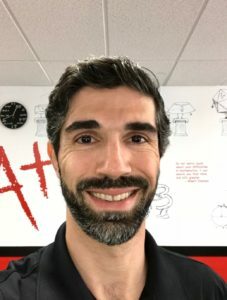 Owner/Center Director Tommy Najarian, of Mission Gorge, CA, earned both a bachelor’s and master’s degrees in Mechanical Engineering from UCLA, where he tutored underrepresented college students in math and physics. 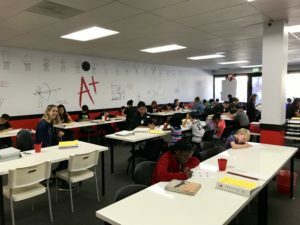 After working in the aerospace and defense industry for a number of years, his desire to teach and help children in his community led him to open a Mathnasium Center in 2009. What is your average enrollment during the academic year? During summer? My average enrollment during the academic year has been growing steadily year over year. In the 2015-16, we averaged around 150 students, 2016-17 around 175, and around 200+ this school year. I think the continued growth has a lot to do with us being able to retain our current customers for several years with an outstanding level of service. During summer, we have a handful of families that will freeze their memberships; however, the number of new enrollments usually more than makes up for it. 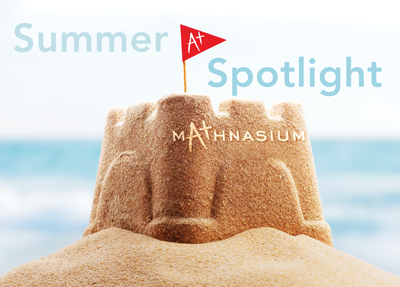 Last summer, we saw about a 15% increase in our student enrollment numbers from the school year to the summer. How do you gauge the success of your Center? First, year-over-year revenue growth. We must make sure to continue to grow the center at a healthy pace. Second, I use our Listen360 scores and conversations with students and parents to make sure they are happy with our service. Bottom line is that if we are doing an excellent job, they will want to stay and refer friends. Which marketing channels do you use during the summer? I use James Speer for all my PPC marketing. He does a great job optimizing for seasonal changes. I have increased my PPC monthly budget to $800/month. I use PeachJar to post our summer flyers to all local schools. Not all schools are on PeachJar, and once you post the flyer, it is up to the school to decide whether or not to approve the flyer for email distribution. It costs around $20-$25 per school, and it gets sent to all families within the school. Last year, I placed the flyer to go live at the end of May. This year, I will post it once in late April/early May and once again in early June. I use Constant Contact to send out emails to everyone in my database. For discontinued customers and non-converted leads, we send out a different email. This email will have a call-to-action to get them in the door. We offer a 10% discount on our summer memberships if they enroll and pay before June 1. Staff wears “Make it a Mathnasium Summer” T-shirts leading up to and into summer. This year, I am also going to do a lot more with Facebook ads. Do you have a pre-established budget for what you’ll spend specifically on summer marketing? No, but most of the effective marketing is relatively inexpensive. The most expensive item is PPC marketing, which I would be happy to spend $1000+/month because that’s how I get most of my leads. How does your summer marketing spend break down? What do you think is your most successful marketing channel? PPC. Although I get a lot of referrals, PPC is a source of a lot of new clients that would not have found me otherwise. Why do you think you have had such successful summers overall? Having a center in San Diego helps a lot. First, a lot of the families will usually stay in town for the summer or go away for only a few weeks. We work with them to freeze their membership for the time they are away. Second, we get a good number of new students who will be in San Diego only for the summer. Third, over the years, we have built a loyal customer base that usually will come back to sharpen skills over the summer. I also think we do a good job of communicating the importance of staying enrolled during the summer and using it as a time to advance skills without the pressure of school work. What do you do to encourage current parents from the spring to stay on through summer? I’ll send an email via Constant Contact to help educate the parents on the importance of staying enrolled over the summer to help avoid the “Summer Slide.” We are also open more hours during the summer to give parents more flexibility to work around other summer activities. We open in the morning from 10 a.m.-1 p.m. and in the afternoons from 3-7 p.m.
What do you do to encourage parents who joined in the summer to stay on for the fall? We do a full assessment when they enroll and do a post-assessment at the end of their summer membership. This helps us show the parents the progress that has been made and how much more there is still to accomplish. Most of the time, it is clear that the student needs much more than a summer to get caught up. A lot of times, they decide on the 6- or 12-month membership, when they had initially intended on only a summer membership. Do you do any special games/activities for the summer? Not necessarily. Instructors are encouraged to play more games with students (at the end of their Mathnasium hour) since there is no pressure of addressing school and homework needs. Do you offer any short-term learning plans like the Power Math Workout Plans? I use Power Math Workout Plans to supplement a learning plan that is based off a full assessment. PMW plans are used strategically with some students to replace the traditional WOB section. For example, we may use the 6th grade Jump Start plan for a student who is getting ready for middle school, but only if they have the proper foundation for those skills first. We recommend reading our updated summer microsystem, “Establish Programming: Plan Summer Programs” to gather information about summer marketing. 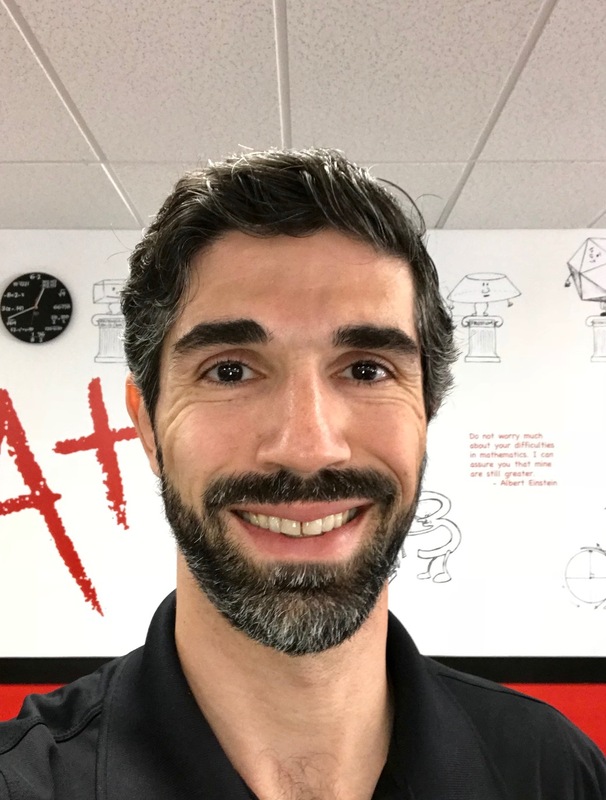 No user comments for " Summer Profiles 2018 #3 (Tommy Najarian) "